The Italian guitarist and bandleader Nicola Conte has recorded his first album for the legendary, recently re-established MPS records. Conte has brought with him an ensemble of stars including Gianluca Petrella (trombone), trumpeter Theo Croker, saxophonists Logan Richardson and Magnus Lindgren, and singers Zara McFarlane, Bridgette Amofah and Carolina Bubbico. Recorded in Bari, Italy and Johannesburg, South Africa, "Let Your Light Shine On" is a cohesive and powerful work of art that crosses the border between soul and spiritual Afro-jazz. Musicians hate to have to pigeonhole their music. Nevertheless, Nicola Conte makes the attempt: "You could call it spiritual or cosmic Afro-jazz. I could also agree with calling it Afro-soul." For his new album, "Let Your Light Shine On", this Italian DJ, producer, guitarist, and bandleader has casually interwoven soul and grooves pulsing with the beat and breath of Africa. In so doing, Conte combines elements that seemingly do not belong together. This innovative jazz revivalist has always been open to sounds of every sort and color. Born in 1964, Conte formed the artist collective Fez in the early '90's in his native city of Bari, produced jazz and modern electronic-oriented Bossa Nova, and recorded film music. Conte’s eighth album conveys his interest in spiritual deceleration ("We should not be hemmed in by materialism. We need new perspectives!"). At the same time, his music has a political slant. "I'm interested in the Afrocentric approach that such artists as John Coltrane, and such labels as Strata-East carried forward in the sixties and seventies,” this obsessed record collector enthused. “People dealt with the problems of that time. This may well have greater relevance today than ever before – many problems have only gotten worse." "Let Your Light Shine On" is Conte's debut on the legendary MPS label, which has recently resumed releasing new recordings. "For me, when it comes to European labels, MPS has always been the yardstick," the Italian enthused.  "Jazz Meets the World on MPS – that was their motto. It wasn’t about exploiting trends, it was about genuine artistic expression." 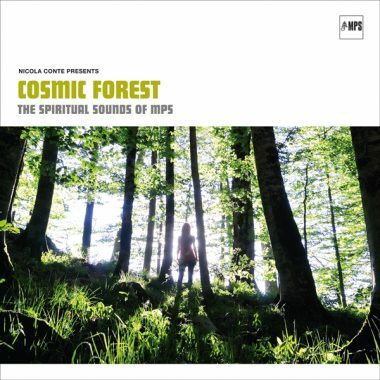 Nicola Conte has cast his vision of cosmic jazz into a seamless tonal design – without restricting his players' freedom, leaving them open to the influences of the diverse cultures. "Everyone should be able to express themselves freely," Conte says; "this album is much more open than my last one. Everything was recorded live and with a minimum of overdubs." 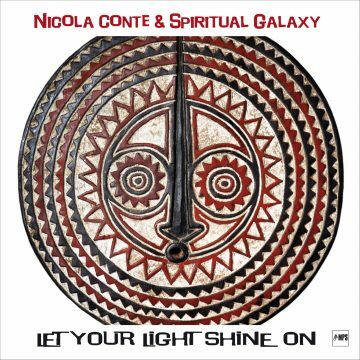 The foundation of "Let Your Light Shine On" is Conte's live band, Spiritual Galaxy. Conte plays guitar and is accompanied by such top international stars as trombonist Gianluca Petrella, who has been awarded "Best Emerging Artist" by the prestigious DownBeat jazz magazine, Swedish tenor saxophonist Magnus Lindgren, and Finnish drummer Teppo Mäkynen. They meet up with pianist Petro Lusso, bassist Luca Alemanno, and singer Bridgette Amofah. The band also includes two up-and-coming stars of the younger generation of jazz musicians from the USA, players who don't shy away from Hip Hop, R&B, and electronic music – alto saxophonist Logan Richardson and trumpeter Theo Croker. 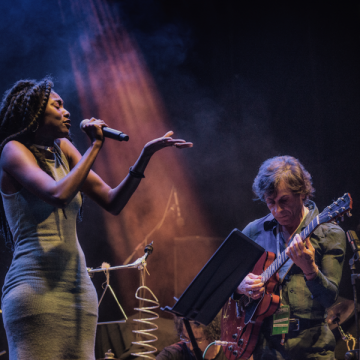 A Scandinavian-American-Italian all-star band, a truly cosmic-cosmopolitan ensemble – complimented by a sensitive guest appearance by the celebrated British singer Zara McFarlane. The Londoner scats and improvises with mimetic imagination on the sparkling, soulful "Ogun", whereas the gently grooving title song was recorded in South Africa. Scheduled on short notice in Johannesburg, the session took place with the addition of four local musicians – naturally, replete with the typical Conte touch. "Mystic Revelation of the Gods" and "Me Do Wo" feature Conte's unique laid-back definition of Afrobeat, with superb solos by Croker, Lindgren, and Richardson. It's as if the legendary father of Afrobeat Fela Kuti had partied the night away on the Bari docks and then recorded as the sun rose over the Mediterranean. Nicola Conte: "This album is the result of years of experimentation, with a focus on analog instruments." 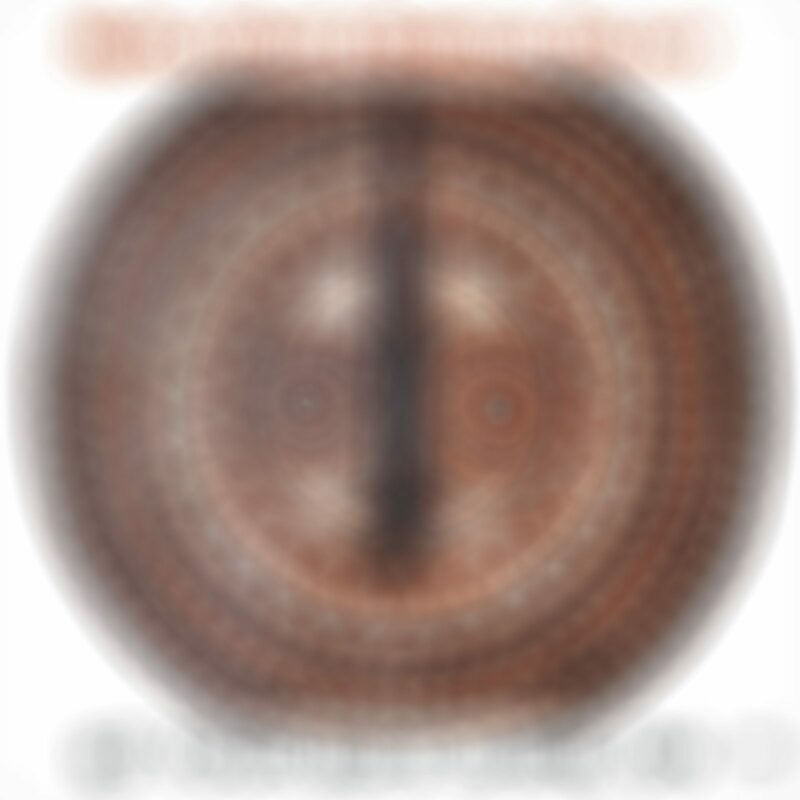 So what is this "Light" that the band leader evokes in the title? "We are connected by a higher force. I don't want to sound like a hippie, but perhaps the light comes out of the universe. At the same time, it also comes out of ourselves." 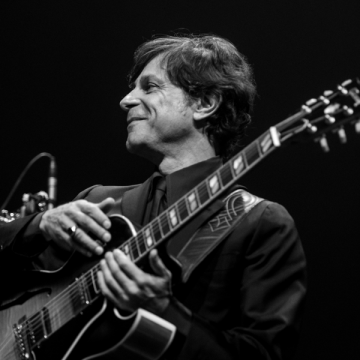 Jazz Meets the World – in the best MPS tradition, with the help of a higher force and famous musicians, Nicola Conte combines the sounds of different continents into a unique style.